Seeking to give new impetus to the bilateral relations, India and Malaysia on Wednesday announced firming up of Comprehensive Economic Cooperation Agreement (CECA) to boost trade and decided on a range of other engagements in various sectors, including defence. 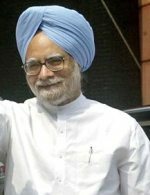 The two sides signed five pacts in various areas after wide-ranging talks between Prime Minister Manmohan Singh and his Malaysian counterpart Mohd Najib Tun Abdul Razak and resolved to impart strategic dimension to their relations. Signing a document with regard to announcement of CECA, the two leaders said the agreement, aimed at allowing freer movement of goods, services and investments, would come into effect on July 1 next year. "Today marks a turning point in India, Malaysia relations," Singh told said after the meeting. He said the discussions with Razzak had laid the basis for multi-faceted partnership between the two countries. Singh and Razzak also launched the CEO's Forum which is expected to help forge closer and deeper economic engagement between business and industry of the two countries. "India welcomes greater investment from Malaysia in infrastructure and manufacturing sector and Indian companies would also want to do business in Malaysia," Singh said. Razzak said Malaysia would be happy to share India's economic success and join its journey for economic development of the country. "We must give new impetus to this relationship. I indicated to Prime Minister Singh that Malaysia is ready for deeper and more intensive relationship," he said Razzak said the two countries have set a trade target of $15 billion by 2015 and expressed confidence CECA will help achieve it. Noting that expansion of mutual investment would contribute to reciprocal economic growth of both countries, the two leaders agreed to enhance cooperation and support at government level to further strengthen existing bilateral collaboration in infrastructure development. The involvement in infrastructure projects, particularly in the construction industry, is expected to provide bigger opportunities in investment through joint business and governmental collaboration, Singh and Razzak said. There are at present 60 Indian IT companies, including few of the top-ten Indian IT companies, have established offices in Malaysia with some of them operating their global business centres. Keeping in view the importance of IT and services for both the countries, a MoU was signed in 2002 which expired in 2007. The new MoU is signed to reflect the contemporary changes taking place in the field of IT and services. The areas of cooperation envisaged in the MoU include electronic-commerce, multimedia development, electronic-governance, information security, cyber crime, human resource development, research, design and development and exploring third country markets and any other areas of cooperation of mutual interest to both the countries. India and Malaysia are also expected to announce setting up of a Joint ICT Talent Development Consultative Committee (JICTDCC) involving stakeholders from both the governments, relevant agencies, industry players and training institutions to make specific recommendations to both the governments for IT skills training, talent development and greater engagement of Indian IT companies in Malaysia. The tourist flows between India and Malaysia have been increasing in the recent years in a significant manner. India is now the sixth largest source country for inbound tourism to Malaysia with about 600,000 Indian tourists visiting Malaysia in 2009, an increase of 9 per cent over figures of 2008. Malaysia is the tenth largest source country for foreign tourists visiting India with 115,794 Malaysians visiting India in 2008. The trend is expected to continue in view of the improved connectivity between the two countries with the introduction of budget airlines from Malaysia such as AirAsia. The areas of cooperation include research and development, training, greater exchange of promotional and publicity materials, investments and organizing meetings, conventions and travel mart/trade fairs etc. between the two countries. The Council for Scientific and Industrial Research (CSIR) and Special Innovation Unit (UNIK) of Prime Minister's Department of Malaysia would be signing an Agreement on Research and Development Collaboration to increase cooperation in research, development innovation and commercialization of technology. The MoU on Cooperation in the Field of Traditional Systems of Medicine provides a framework for cooperation in traditional systems of medicine between the two countries. The scope of the MoU includes identifying further areas of co-operation for promotion of traditional medicine including the regulation of teaching, practice, drugs and drugless therapies; accommodating interested practitioners, paramedics, students and institutions in educational training programmes on traditional systems of medicine. The institutions in both the countries can work towards mutual recognition of Ayurveda, Unani, Siddha Pharmacopoea of India and the Malaysian Herbal Pharmacopoea. The MoU also envisages exchange of experts for training of practitioners, paramedics, scientists, teachers and students in traditional systems of medicine.